"Ring, ring – Dinner time!" "All aboard!" These might be just a few of the phrases you hear coming from the swing set in your backyard when you accessorize it with the Dinner Bell. 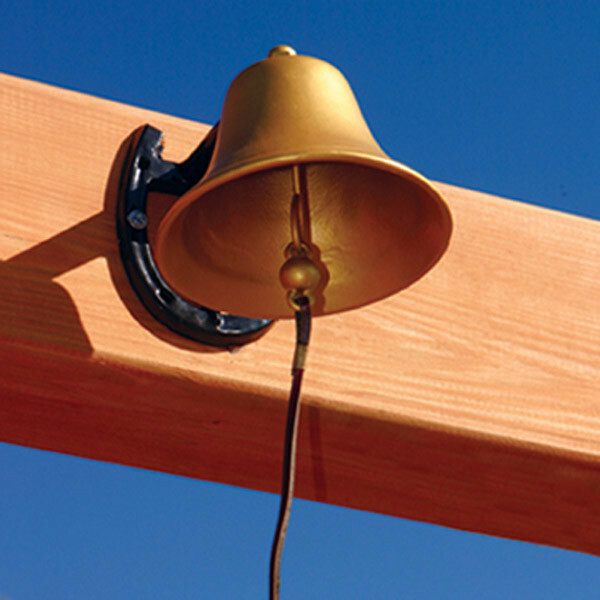 Made of galvanized metal, the bell can be heard all over the yard with a quick pull of the string. It can be mounted to the wood beam of any play set using the universal horse-shoe mount and you can even choose the perfect height and location. Let the fun and imagining begin with this cool addition.